At Jaguar Austin, our team of highly qualified, factory-trained Jaguar service technicians and advisors are focused on providing you truly exceptional service in a timely manner. For your convenience, we offer online service scheduling, extended Saturday hours, complimentary loaner vehicles, a new state-of-the-art comfortable WIFI-enabled waiting area with entertainment and refreshments. 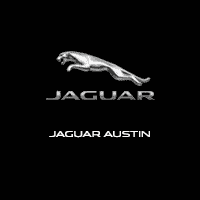 From routine performance maintenance to scheduled service intervals, Jaguar Austin is dedicated to protecting your investment and providing truly exceptional service. Our skilled and detail-oriented team loves serving your automotive needs. That means when you visit our Austin, Texas Jaguar service center, you can count on a positive auto service experience, which includes only OEM Jaguar parts. Whether you’re interested in a simple oil change or tire rotation or you’ve come across a problem that needs to be repaired, our team will work to get you back on the road with a focus on safety, quality and efficiency – because we know nothing is more important to you. If you’re interested in seeing what we can do for your Jaguar F-Type, XF, XJ, XJL or XKR, be sure to fill out our online appointment form today. We’ll quickly confirm your appointment’s details, such as time, date and the specific work that needs to be completed. With Jaguar Austin by your side, you can count on worry-free driving experience. You may schedule your service online or call our service advisor team at 877-674-8283. We are located at 1515 W 5th Street in Austin, TX. We look forward to helping you with all your Jaguar service and maintenance needs! As a benefit to Jaguar Austin customers, complimentary loaner vehicles are available for any customer who has purchased their Jaguar from one of the Snell Motor Companies dealerships: Jaguar Austin, Land Rover Austin, Land Rover Dallas, Land Rover Frisco, and Snell Select. Jaguar Austin makes every attempt to provide a loaner vehicle for each of our service clients when scheduling an appointment that cannot be performed in ninety minutes or less. The loaner vehicles provided may not be the equivalent model of the vehicle a customer is having serviced. Complete details available.